Having problems with system. Phones do "funny" things. Can not get get my fax to work even dialing "99" first. 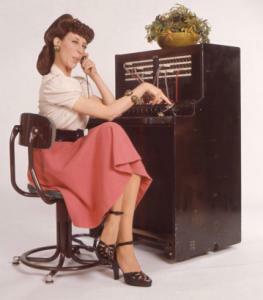 Even "programed" numbers on my phone system (RCA) work only sporadically at best. Sticking to MagicJack which I have had no problems with. If there is something you'd like help with there are many friendly people willing to help. However, posting here just to flame a product serves absolutely no purpose. Was not trying to "flame" anything. Just my opinion for what it is worth - and if that is worth nothing - so be it. jackinfl wrote: Having problems with system. Phones do "funny" things. Can not get get my fax to work even dialing "99" first. Even "programed" numbers on my phone system (RCA) work only sporadically at best. We're sorry to see you go. Many of us on the forum have had just the opposite experience - I have an MJ on the shelf that I give to people to try before spending the $40 for one. Every person who has borrowed it has found leaving their computer on 24/7, the lack of real phone support (sorry, but "chatting" with an offshore person who has a bunch of programmed "answers" is not real support), and intermittant quallity to be something less than they wanted. If your experience with MJ has been otherwise, great. On the other hand, Aveamantium makes a good point about friendly people willing to help. And the ooma support lines at 888 711-6662 are staffed by stellar people who will work with you until your problem is resolved. Call wait times are usually less than a minute. (Try that with QWest.) If the freedom of being able to use your phone even when your computer is off, consistent quality, and real US-based technical support sound good to you, why not let us know a little about your configuration and give some suggestions. It might be that there are some misunderstandings in what works and does not. For instance, dialing "99" first gets you a wrong number while " *99 " gives you a clean line with less compression. Your choice, but we'd love to help. And no, I don't work for ooma - I'm just a happy customer like most of the rest of the folks here. I agree with the other posts, don't give up too easily. If you're willing to spend just a couple of minutes troubleshooting, post your setup here. There are always plenty of people who try to help. Personally, I had considered Magic Jack myself before going with ooma, but couldn't stand the thought of having a dedicated PC running 24/7 for the phone. In part, this comes from experience of sharing a single printer off a USB port on one machine with my wife for a couple of years. I can't imagine what my wife would say if I had to reboot my PC when she was on the phone.... If they could just make a standalone version, I may well have gone for that instead. As it stands though, I am with ooma and rather satisfied. Anyway, along with southsound's clarification on the *99, if you're willing to troubleshoot before returning your ooma, was your fax on a scout or hub? They don't work well on a scout. Also, what "funny" things do your phones do? If you'd like to explain your setup and problems in a bit more detail, I'm sure you'll get a lot more suggestions. If they don't pan out, you could always return ooma later. Only a couple of minutes wasted. jackinfl wrote: Was not trying to "flame" anything. Just my opinion for what it is worth - and if that is worth nothing - so be it. For what it is worth, I appologize if I came accross rude... Everyone is entitled to their opinion as this is a "disscussion forum". NO ONE EVER SENDS ME A BILL! Post your setup jackinfl and we'll get you fixed up. I don't want to be rude either but seriously how anyone could pick magicjack over ooma is beyond me. I'd sooner respond to a viagra spam in my mailbox. ...Can not get get my fax to work even dialing "99" first..